Home / News / CSAM is coming to Vitalis! 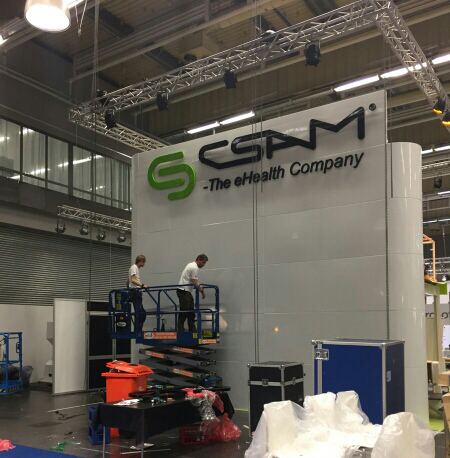 See below for an overview of CSAM’s activities at Vitalis. CSAM will be launching its newest product – CSAM CIMA – a clinical imaging mobile application that puts the power of medical imaging in the palm of your hand. CSAM CIMA will be presented as part of demo@Vitalis, where new and ground-breaking eHealth products are showcased with a 200-second presentation. Click here to register for the conference and be sure to attend demo@Vitalis to see CIMA in action. The Vitalis exhibition runs from 9 a.m. to 5 p.m. on April 24 to 25 and from 9 a.m. to 4 p.m. on April 26. Looking for some fun? Stop by to relax and enjoy a CSAM signature cocktail. We are also planning a top-secret contest with big prizes that you won’t want to miss! Click here for your official invitation and free pass to the Vitalis exhibition courtesy of CSAM. CSAM is the leading provider of niche eHealth solutions in the Nordics. Our software solutions enable healthcare providers to access relevant clinical information at the point of care. We create value through a unique blend of best-in-class innovative technology and outstanding human skills.